Humble but appealing and affordable SV650 roadster V-twin gets a half-hearted retro/café racer makeover yet it somehow adds up to an appealing, affordable and fun bike. Base SV650, although updated in 2016 and still worthy, was already aging, and this styling tweak into a supposed 'café racer' smacks of 'bandwagon jumping' but there's no denying it's sweet, fun and versatile to ride and affordable. 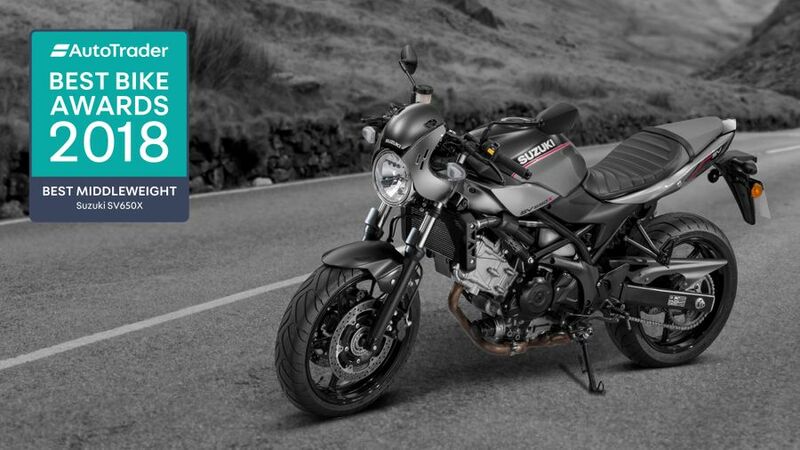 Interested in buying a Suzuki SV650X? Suzuki revived its enduringly popular SV650 V-twin roadster in 2016 with a handsome if a little plain facelift and straightforward, budget specification. The result is a worthy, well-priced but a little dated middleweight. 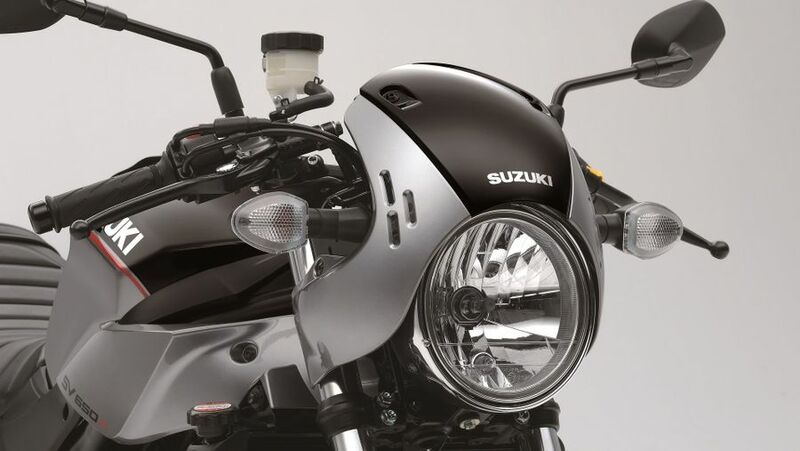 In this X form, Suzuki's jumped on the retro, café racer fashion and given it lower, clip-on bars, ribbed seat, nose cowling and different paint. As a convincing retro it's a little superficial but it gives the already competent and charming SV extra character. You'd be forgiven for assuming the lower bars would compromise the SV's comfort but it's so subtly done it's still more than acceptable and the slightly sportier cant somehow makes the Suzuki's already willing handling more engaging and intuitive. It's a great bike to hustle through some bends. That said, the small nose cowling is really only there for appearances sake and provides no useful protection and the X isn't really suited to either prolonged town traffic of long motorway hauls. If you're after a practical version of the SV650, the old, half-faired 'S' version does it much better, offering ease of use, value, reasonable comfort and weather protection and engaging performance. Unfortunately, it's now deleted. The X still offers some of those things but conspicuously lacks long distance comfort or ability while around time you'll begin to feel the added weight on your wrists from the more extreme riding position. If you're bothered about such things, the standard, more upright SV is a better bet. This latest incarnation of the perky Suzuki V-twin puts out 75bhp, which, despite its age, is still on a par with more modern rivals such as Yamaha's MT-07. While its brakes, due to its slightly budget specification, are fairly unremarkable twin-piston caliper affairs, albeit now with compulsory ABS. That said, despite all that, and the fact the X can trace its lineage back to 1999, it's still a perky and entertaining performer. The 645cc twin lives on as one of the great middleweight engines of the modern era and the brakes are more than up to the job. Almost as good as the X's powertrain is its delightful handling. Yes, like its brakes, the unadjustable conventional forks and preload-only rear monoshock are fairly basic kit, but they're well-tuned to the task. Better still, the whole plot is well-balanced, nimble and yet also smooth and reassuring. But best of all, the added attitude given by the sportier riding position somehow makes the X even more involving, responsive and fun. 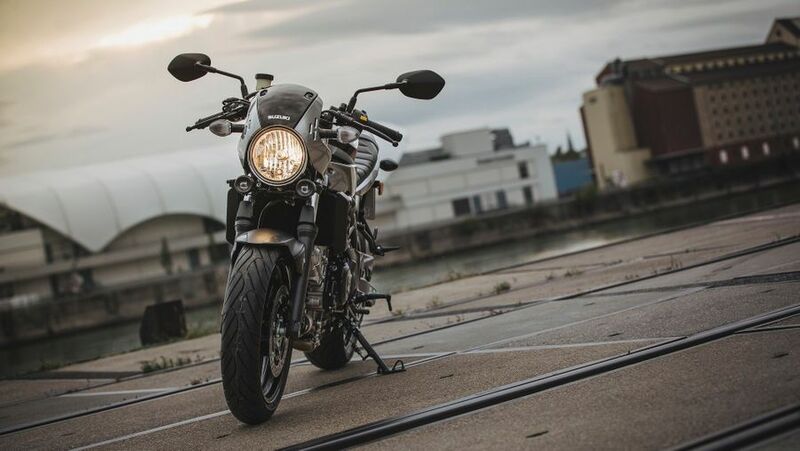 Considering its long history and basic spec, the X, really, has no right to be this good but it's more than capable of showing a clean pair of heels to newer rivals such as Yamaha's XSR700 or Ducati's Scrambler. 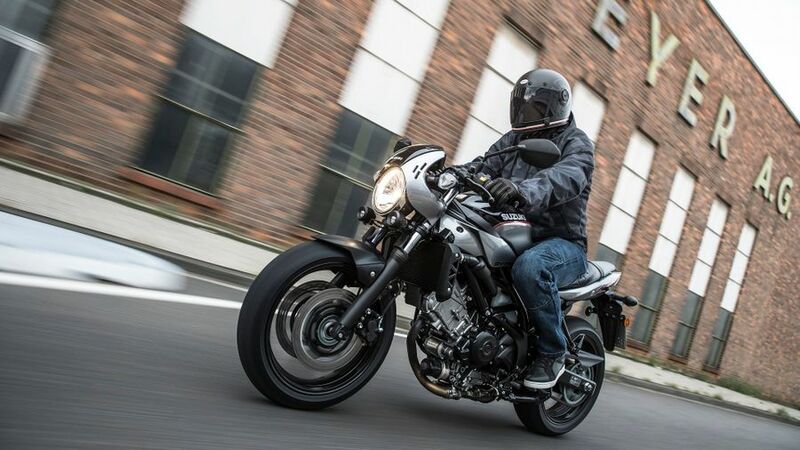 Suzuki's SV family was always designed as affordable, inexpensive bikes both to buy and run and the same is just as true of this latest 'X' variant. 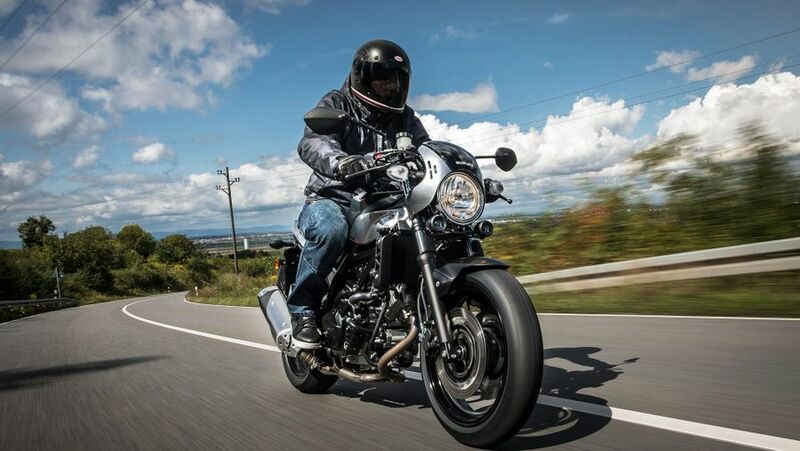 Despite its eager performance its hunger for consumables such as tyres, chain, brake pads and more is better than average and that brilliant V-twin engine should regularly return well over 70mpg as well. Overall, although the retro styling isn't completely convincing, if you're after an affordable bike of this style, they don't come much cheaper. One of the great strengths of the original SV650 - quite literally - was the robust durability of its brilliant 645cc V-twin - and we've no reason to expect this new X version will be any different. 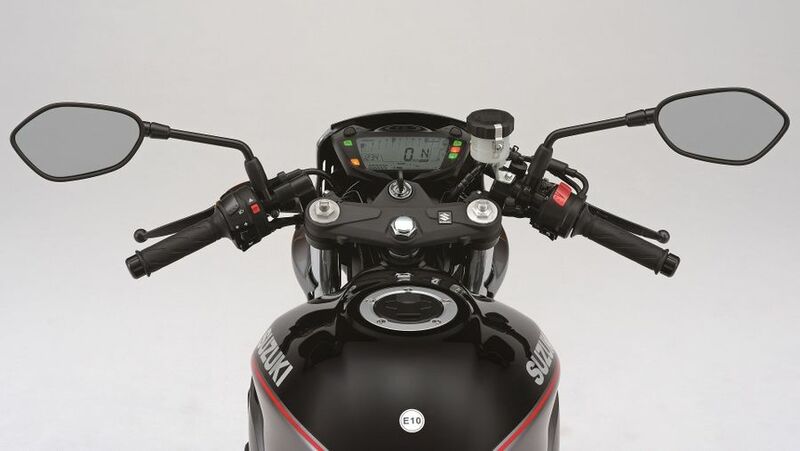 Despite hard lives at the hands of novices or over-enthusiastic types, the Suzuki motor has proved reliable and reassuring. Less so, however, can be its somewhat budget chassis and cycle parts, with forks and finishes often suffering if not kept clean, especially through winter. It's too early to aim the same accusation at the new X, and due to its style, it's more likely to be well looked after, but it's worth remembering. Like all Suzukis the new SV650X benefits from the industry standard warranty, namely parts and labour are covered for two years, irrespective of mileage covered. Servicing is one of the few areas where the age of its mechanicals become apparent, namely its service intervals are shorter than more modern machines. Basically, services are every 4000 miles which, when some rivals are every 6000 or more can, over time, add up to a significant outlay. Modern middleweight machines don't come much more basic and straightforward than Suzuki's SV650 and although this X version gets a nose cowling plus fancier bars and seat, there's still not much here worth writing home about. There's the required ABS but no electronic rider aids whatsoever; there's no Centre stand or luggage and no fancy console. In a way that's quite pure and refreshing but if you like your motorcycles to have gizmos and toys you'll be disappointed. The X is basically the standard SV650 with an extra dollop of style (although it's not entirely convincing) and fun (which is). Simply, this is middleweight motorcycling at its purest and most fun with no recourse to gadgets or gizmos. Throw the SV650X at a set of B-roads and you'll have an unfettered blast for not a lot of money. But if you want something more practical, flashy, sophisticated or even convincingly retro, you might want to look elsewhere.